After our interviews with Príncipe Island Biosphere project manager Estrela Matilde and Antonio Abreu, UNESCO Scientific Advisor, it is time to hear from the person in charge of tourism development at HBD Príncipe, the private company dedicated to the sustainable and responsible development on the Island of Príncipe: Philippe Moreau. 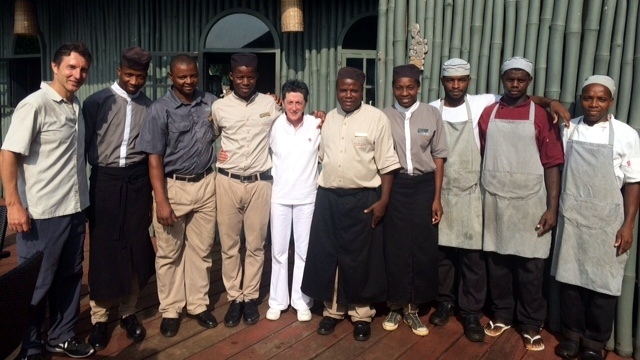 We caught up with Philippe at OMALI hotel in São Tomé towards the end of our Príncipe destination visit. ROI is measured by guest engagement and participation in activities that support the sustainable development of Príncipe. Philippe, do you remember the first time you heard about sustainability in tourism, and your initial thoughts? Yes, this was in 2007 when I stayed at the first hotel in Portugal to receive an environmental certification (Green Globe at Inspira Santa Marta). Back then I was rather skeptical if sustainability was a temporary marketing stunt or if this environmental consciousness was to stay for good. Totally. I got to realize that sustainability positioning has turned from a niche sector into becoming a mainstream movement. Why did you decide to join HBD Príncipe as tourism lead, and to help develop Príncipe Island as a sustainable destination? I saw the potential and unique opportunity for Príncipe Island to become a showcase for exemplary sustainable development, by promoting integrated projects while following our “PLUS” principles: Preserving biodiversity, celebrating local culture, uplifting the community, and commitment to sustainable business and development practices. 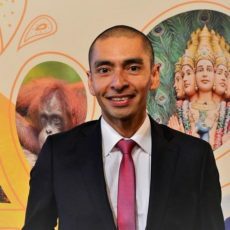 As tourism lead for HBD Príncipe, which have been your main insights? There is an African proverb which says: if you want to go fast, go alone, but if you want to go far, go as a team. Working in Príncipe is a combination of both. I have learned to constantly work on alternative scenarios, as the African continent has its own dynamics. What are you trying to achieve at Príncipe Island? 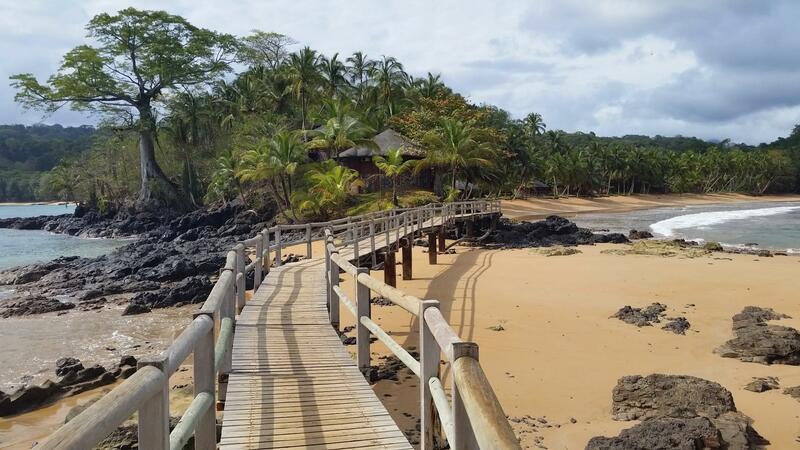 Which are the main challenges for developing a remote island destination, such as Príncipe? Logistics is the main challenge, followed by sustainability. No matter how convinced we are that this is the only route for Príncipe to take, the way to get there is often bumpy, transitional and not always sustainable at once. It takes time to reach the sustainability objective. Sometimes decisions or initiatives might not appear sustainable on the short-term but will bring the desired results in the long run. Where do you see the benefits and opportunities for the local population? How do you measure the success of sustainable tourism initiatives on Príncipe Island? We measure our ROI according to guest engagement and participation in activities that support the sustainable development of Principe. We also ask guests staying at BOM BOM Island Resort via an online questionnaire if the fact that the hotel has an environmental certification (Biosphere) influenced their choice for Principe as holiday destination. More than 50% answer that it does. Moreover, we promote our sustainability agenda on the Bom Bom Island website as a way to communicate our values to prospective visitors prior to arrival. 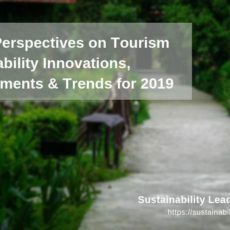 Which social and/or news media do you follow to stay up to date on latest developments in sustainable tourism? There are various, but I must admit that The Place Brand Observer has been a great source of inspiration, with some very valuable case studies. Which sustainability achievements – or initiatives – at Príncipe are you particularly proud of? It has to be the “Water & Recycle project”, which is our brainchild and has become an example for sustainability best practice at UNESCO. Not only did it improve the natural environment by removing 300,000 used plastic bottles from the Island of Príncipe. It also led to provision of potable water to the local population via 13 water purification fountains of “reverse osmosis” that we installed. 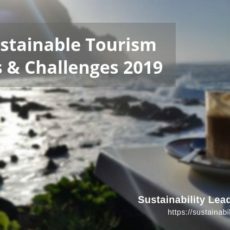 Your thoughts on Sustainability Leaders Project on Tour? Why did you invite us to experience Príncipe? Because this is an efficient way to showcase our projects in Príncipe and to share our experiences on sustainability, but more importantly to create synergies and also apply practical examples that have worked in other destinations. 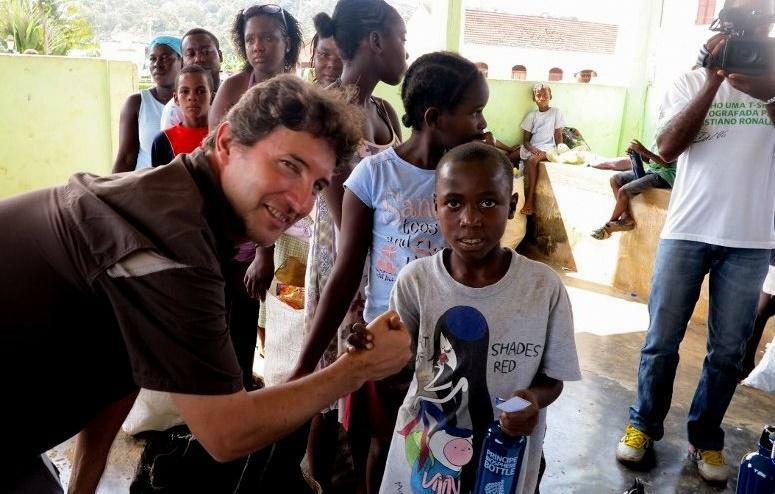 Visit Philippe Moreau’s professional profile on LinkedIn or stay up to date by following the HBD Príncipe Facebook page. Thanks to TAP Portugal for supporting our destination visit as travel sponsor. TAP flies from Lisbon to São Tomé three times a week. Enjoyed our interview with Philippe Moreau on the sustainable development of Príncipe as tourist destination? Share and spread the word!